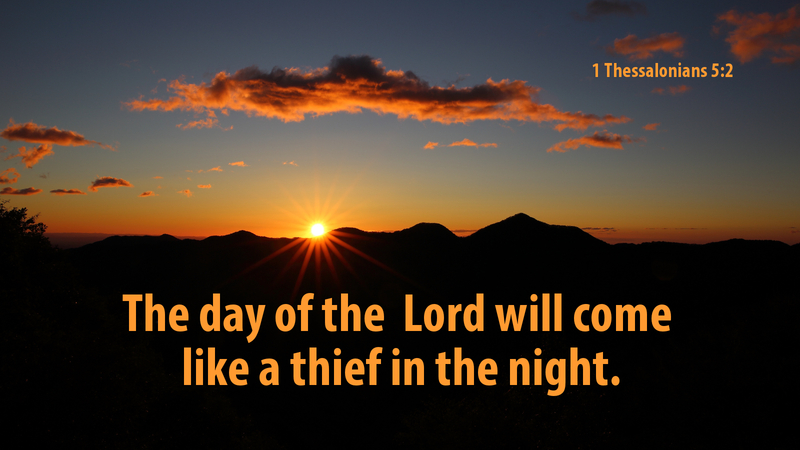 Do we know well that the day of the Lord will come like a thief, as did the Christians in Thessalonica? Most live today as if that day will never come. St. Paul fully expected that the day of the Lord would come soon, in his lifetime. He writes continually about how to live knowing that the return of the Lord was imminent. Some of Paul’s advice, such as to not marry, isn’t applicable today. If Christians were to stop marrying and having children for the Lord, Christianity would die out! It’s hard enough for us to survive during this time between Jesus’ ascension and His second coming. But even more so when we tear each other down and hinder the mission of Christ by bickering, unkindness and lack of charity within the Church. We would like to think that it is in our congregations as it was in Thessalonica—that the faithful are encouraging one another and building one another up. The opposite is often the case, as congregations fuss with one another, pastors and church leaders bash and bite at each other, the body is torn apart rather than built up. As we await Christ’s return, let us not be found tearing down rather than building up! Beloved, let us love one another in the Body of Christ! Prayer: Lord Jesus, help us be your Church! Use us to build up and encourage one another. Amen. Advent Action: Write an encouraging note to your pastor, congregational staff member or lay leader.